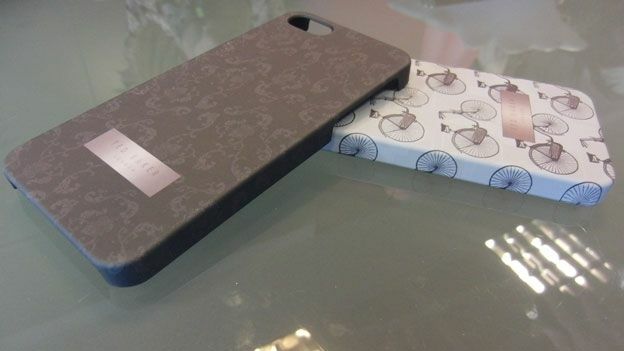 With the iPhone 5 just days away from hitting Apple Stores, case-makers Proporta has given T3 a look at its latest range of Ted Baker cases for the new iPhone. The Brighton-based company who has worked with the fashion house on previous case collections for the iPhone 4 and 4S is bringing some of the iconic Ted Baker London design traits in its latest collaboration which includes a leather style flip case and pouch to give that Apple smartphone a stylish makeover. The cases will of course be part of numerous manufacturers hoping to keep the bigger screen-toting, iOS 6-packing iPhone 5 box fresh when the smartphone officially launches on Friday September 21st. The Ted Baker Leather Style pouch which comes in brown or navy will set you back £34.95 while the Leather Style Flip case will be priced in at a more expensive £39.95 and comes in black and tan colours. While you decide whether to make the upgrade or embrace iOS for the first time, read our iPhone 5 review and see our iPhone 5 unboxing video below to get the T3 verdict on the new Apple smartphone.